This week saw Olivia turn 9. 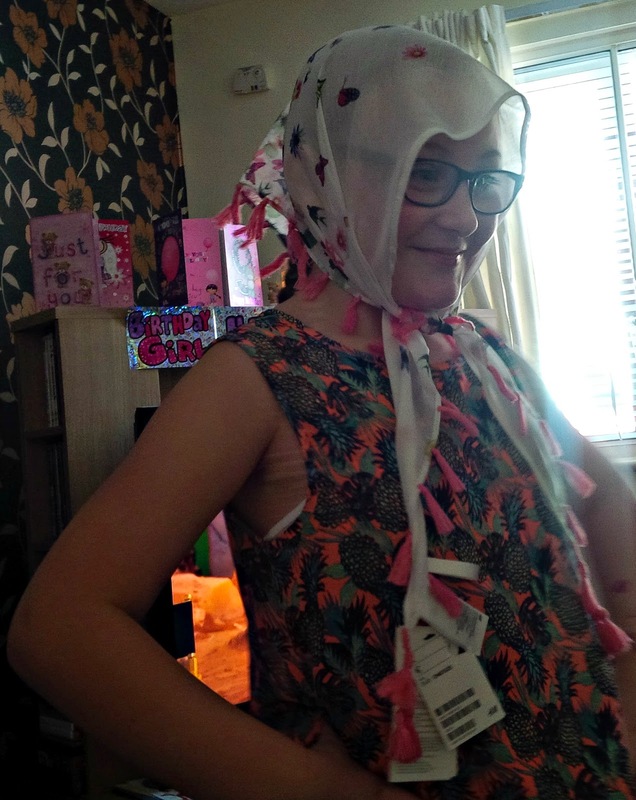 As she is getting older she’s really getting the fashion bug wanting to choose her own clothes, asking for heels on her shoes, loving handbags especially River Island ones (like mum!) wanting to wear make up etc, etc…… I suppose we are now fully entrenched in ‘tween’ territory yay! This year we (family members) decided to buy her lots of new clothes, shoes, handbags and make up which worked out well for me as yet again she has had another growth spurt. This recent one has put Olivia into age 12-13 and I must admit at only 9 some clothes are a bit too grown up for her so it’s a balancing act trying to find nice outfits that aren’t too old for her yet not babyish. After receiving plenty of new outfits (not at all jealous I swear!) Olivia decided on this funky get up to celebrate her birthday in. 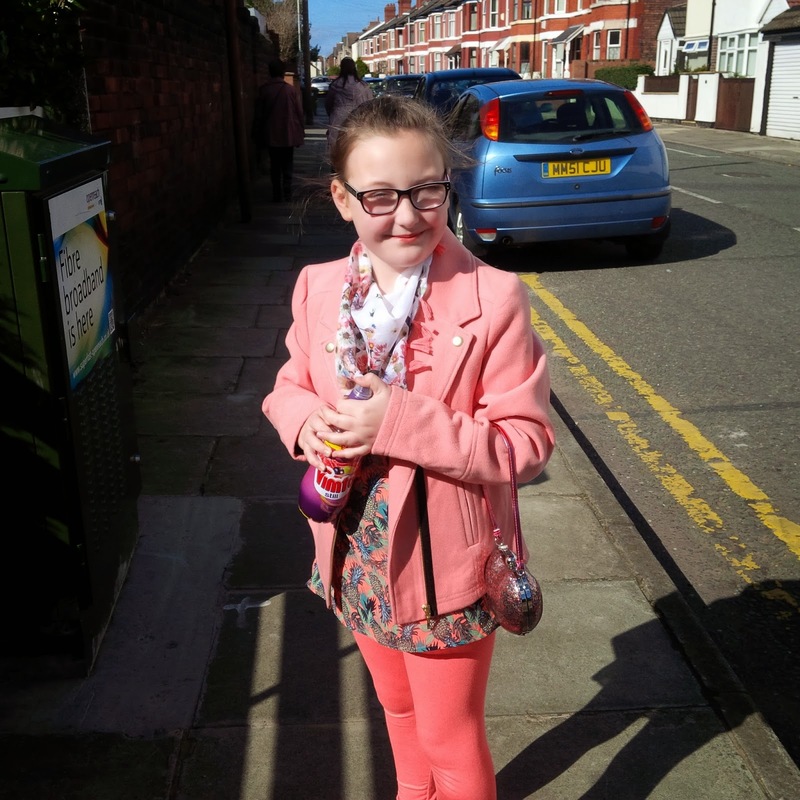 Olivia’s outfit is all from Primark age 12-13 except scarf which is one size from the children’s department at H&M. Prices unknown apart from Jacket which she already had in the sale for £5. Linking up with Clearly Bex and MotherGeek for Trendy Tot Thursday. 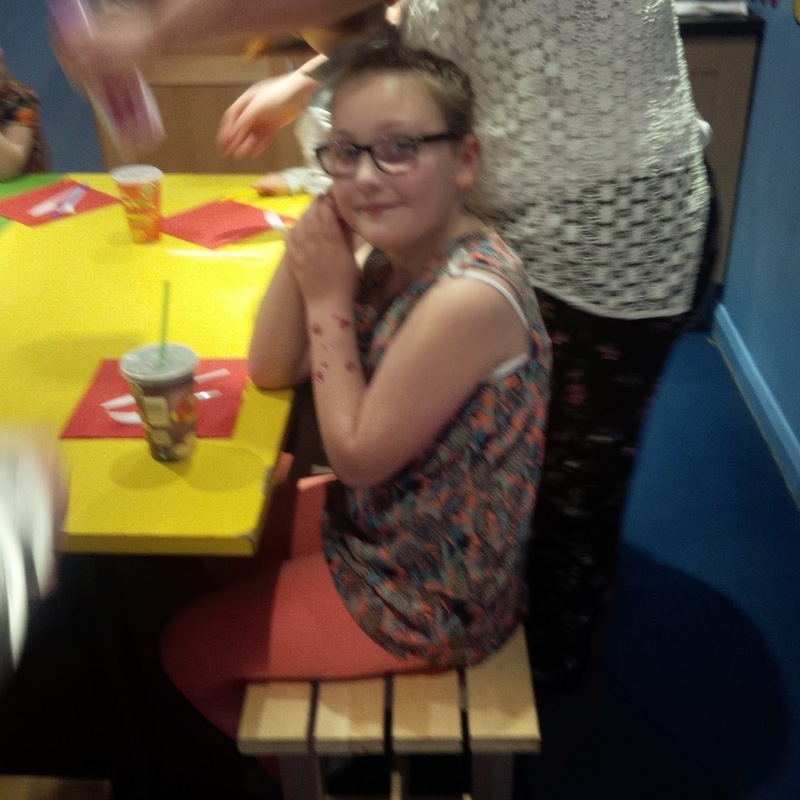 Wow Olivia, firstly Happy Birthday and my dont you look so grown up and smart! I am loving your outfit, good choice girly! Hope you had a fab day. My kids are much younger but I'm having the same issue, I just feel a lot of the clothes that fit my 5 yr old are a bit grown up for her. I'm dreading the tween years – I'm not ready!! !